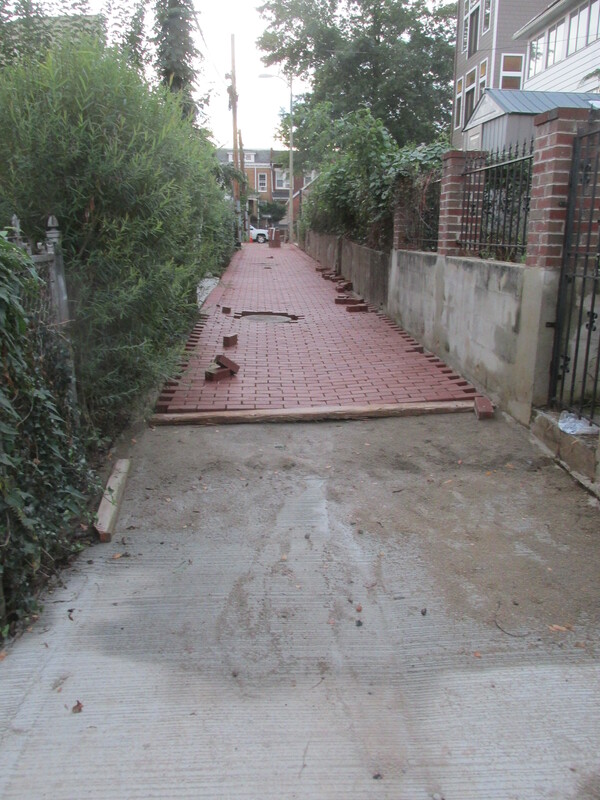 alleys | Park View, D.C.
Another local alley is in the process of getting rebuilt. 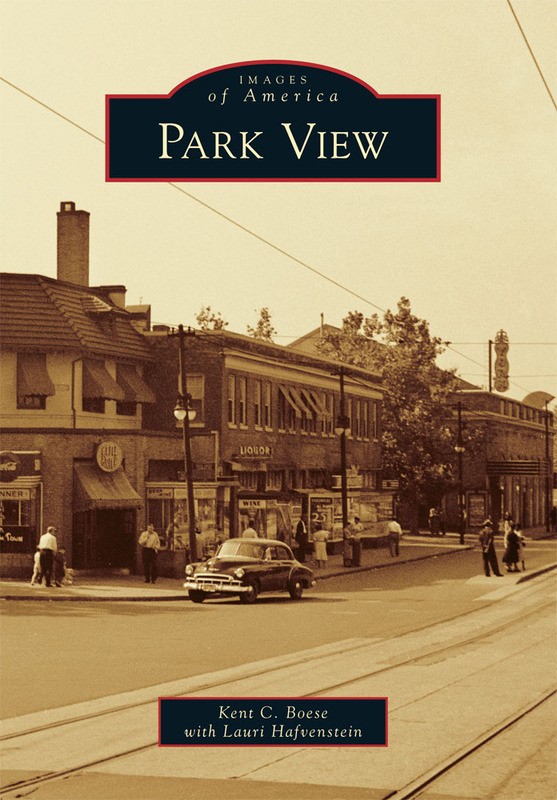 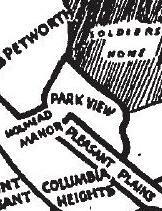 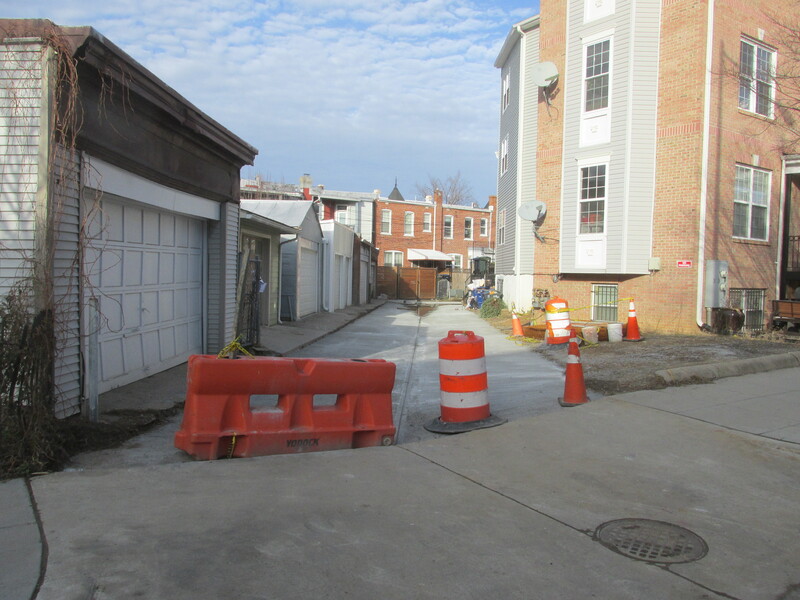 This time, the alley is on the block surrounded by Princeton, Park Place, Otis, and Warder. 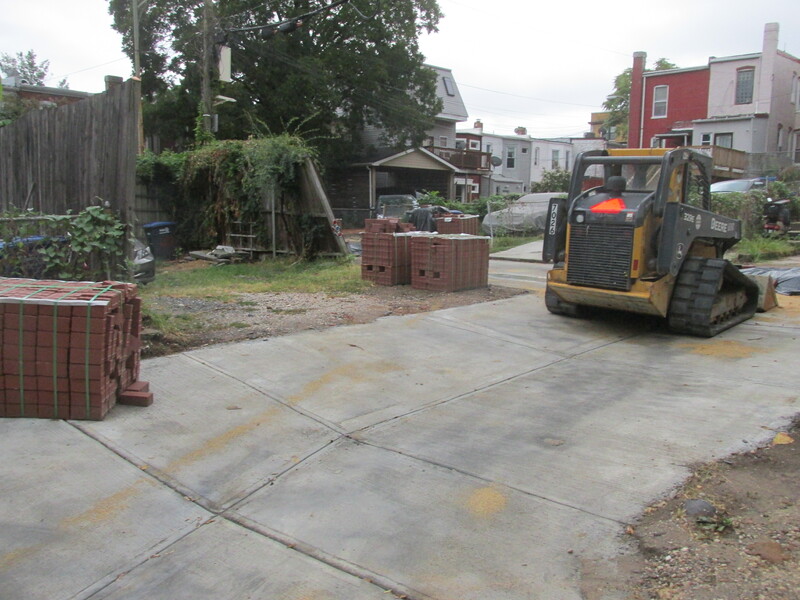 I’ve been asked by a few neighbors as to why this alley is being constructed strictly of concrete. 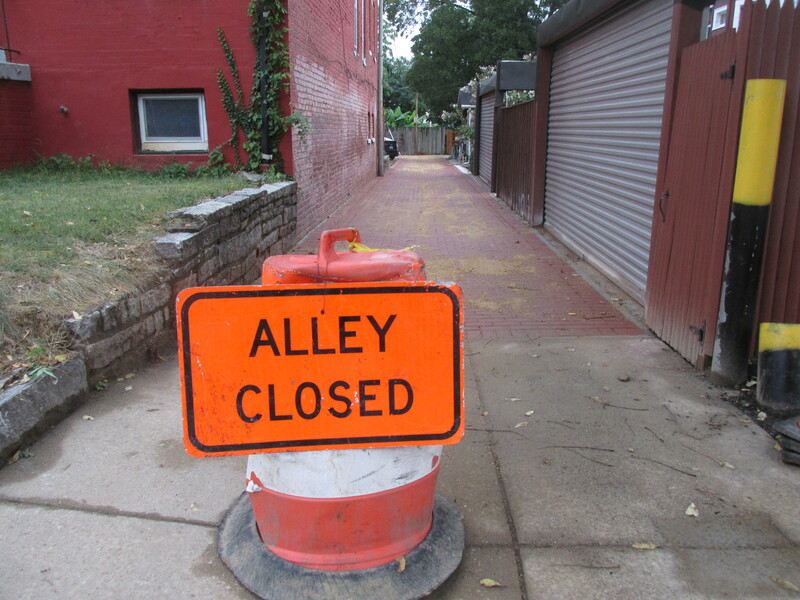 The short answer is that DDOT has a policy of replacing alleys in kind — meaning that if the alley was originally constructed as a brick alley, the new alley will be brick. 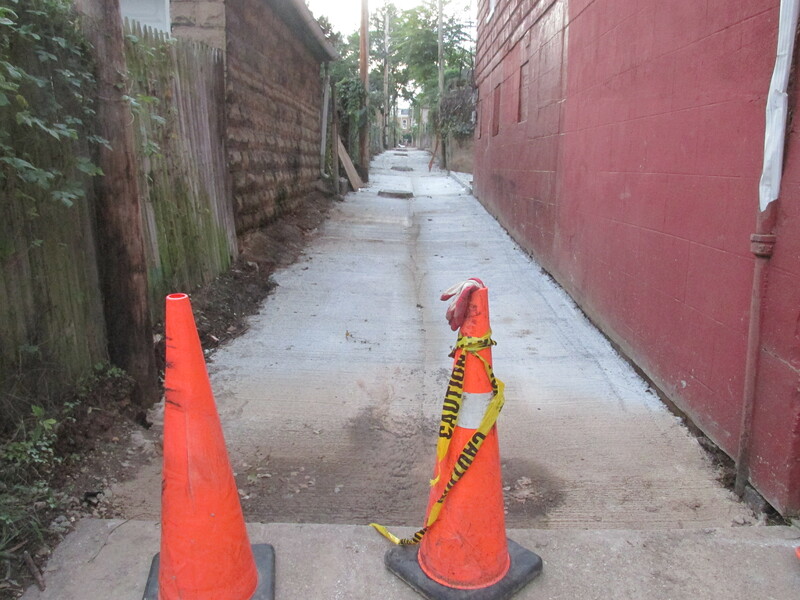 If the alley was originally a concrete alley, then the new alley will be concrete. 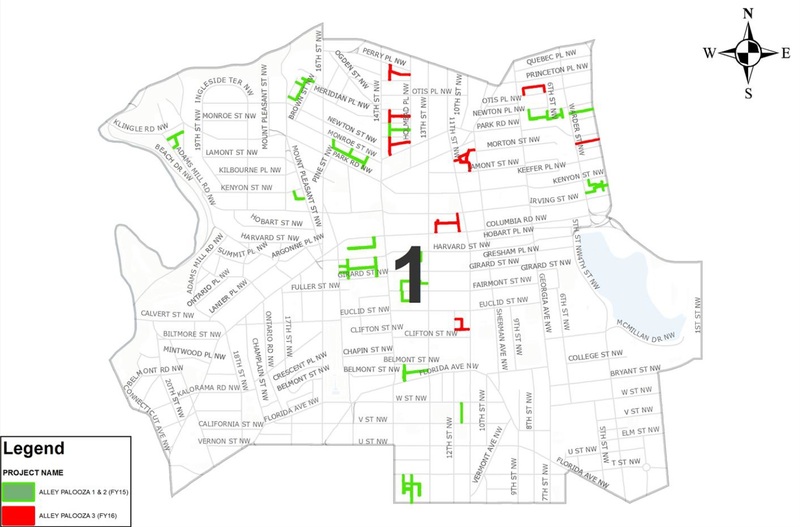 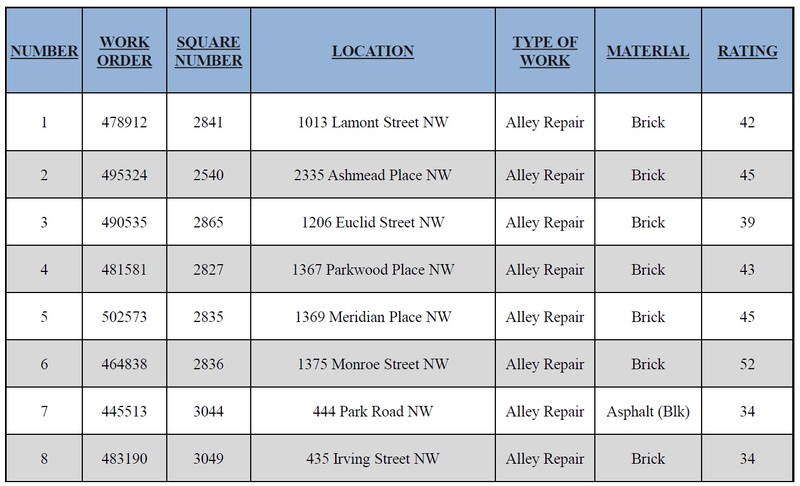 While alleys in Park View were replaced in both the Fenty and Gray administrations, the reconstruction/replacement rate has increased significantly due to Mayor Bowser’s focus on the issue. 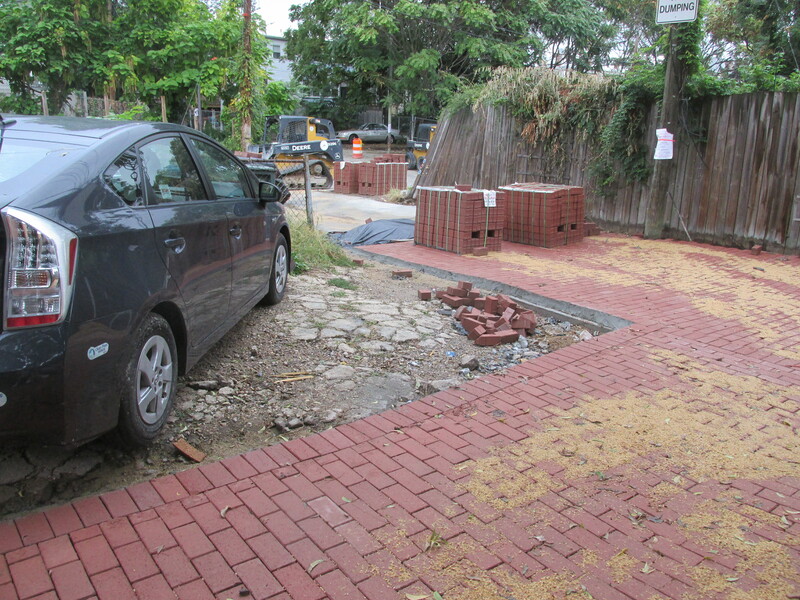 Below are two photos of the work in progress. 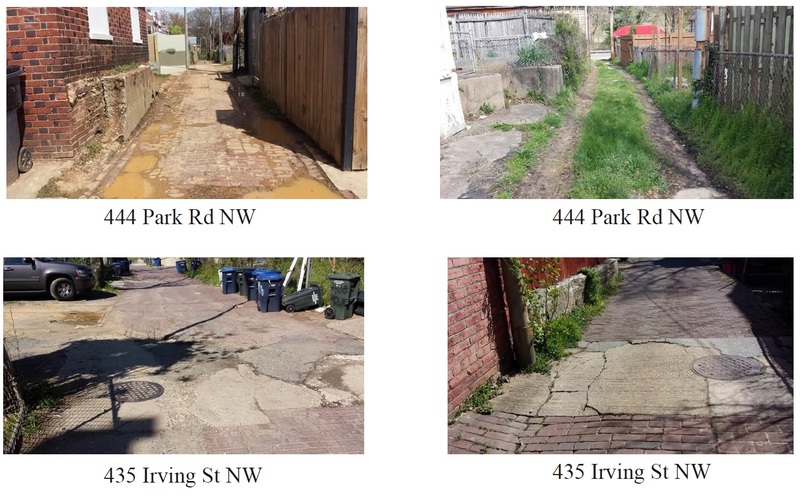 Back in April I shared that two more alleys in Park View would be repaved as part of Alleypalooza 3, the city’s annual push to repair local alleys across the city. 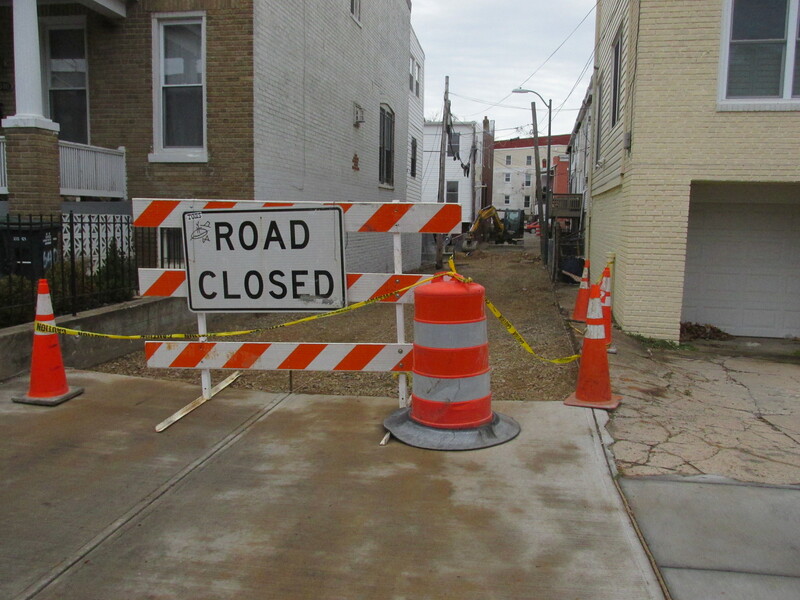 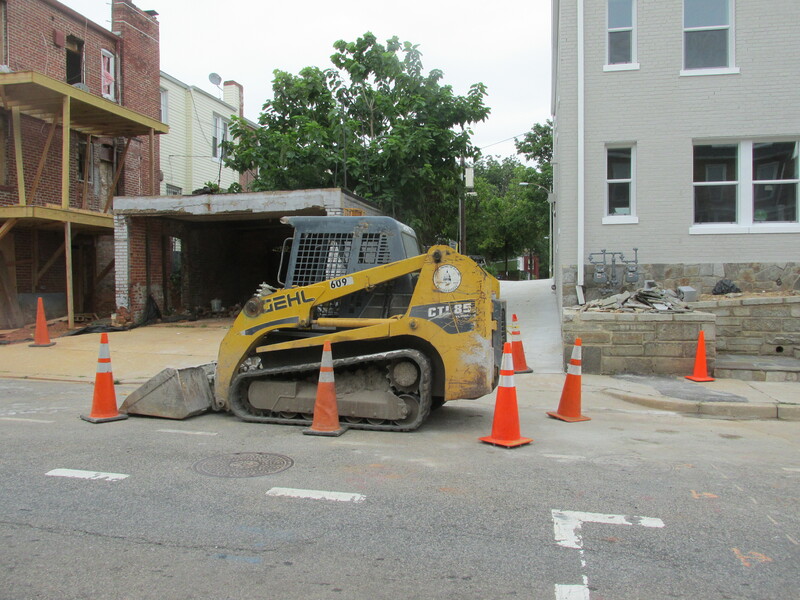 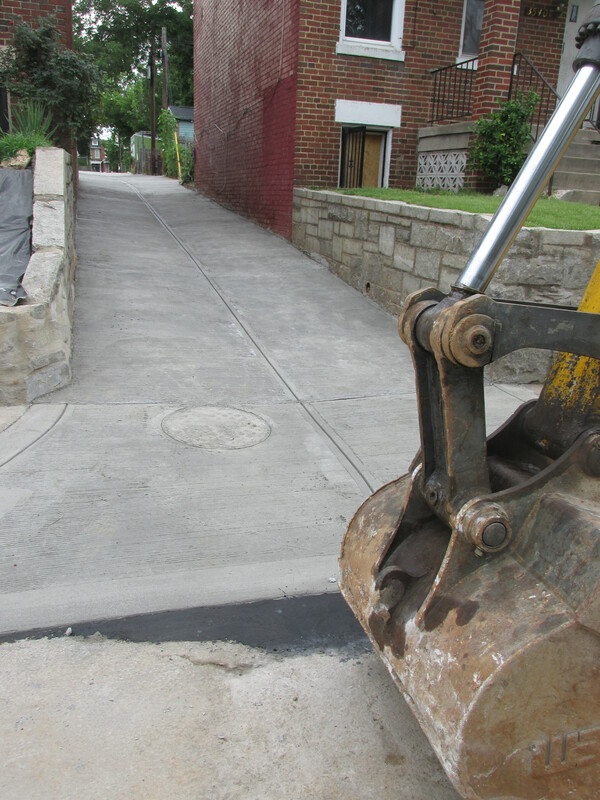 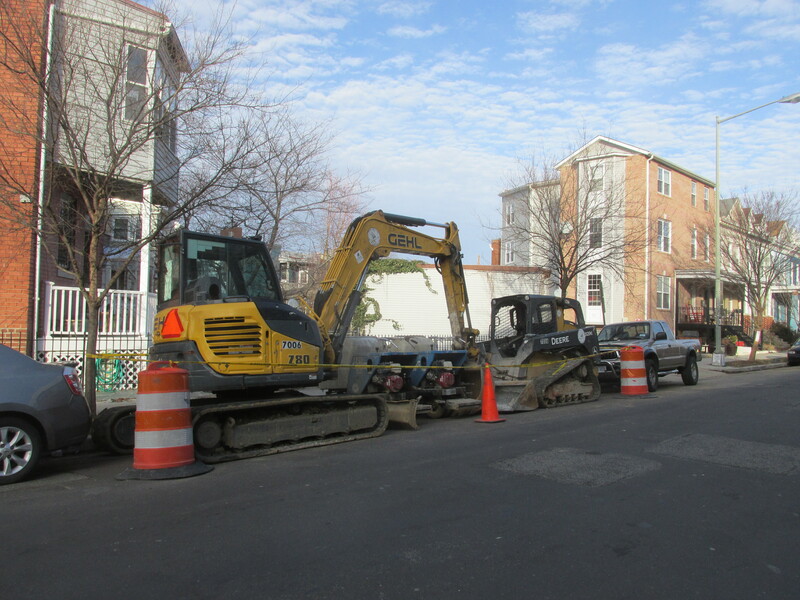 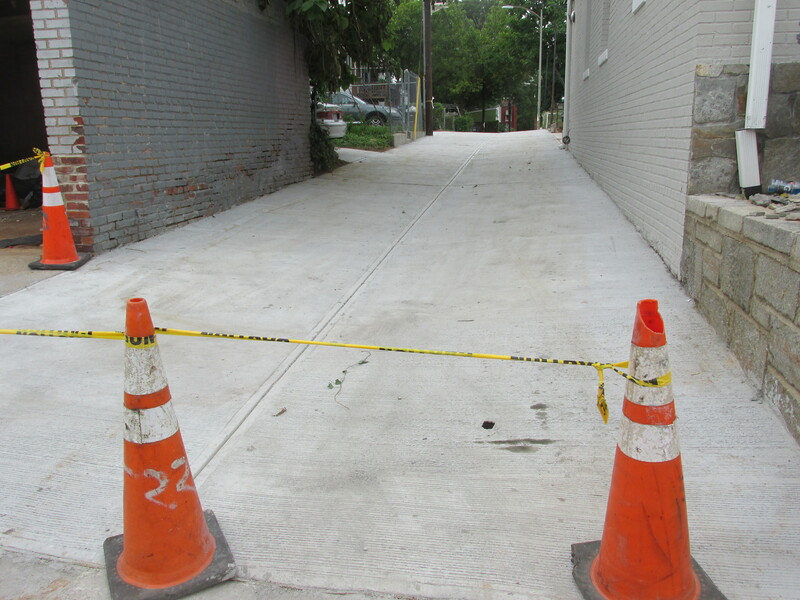 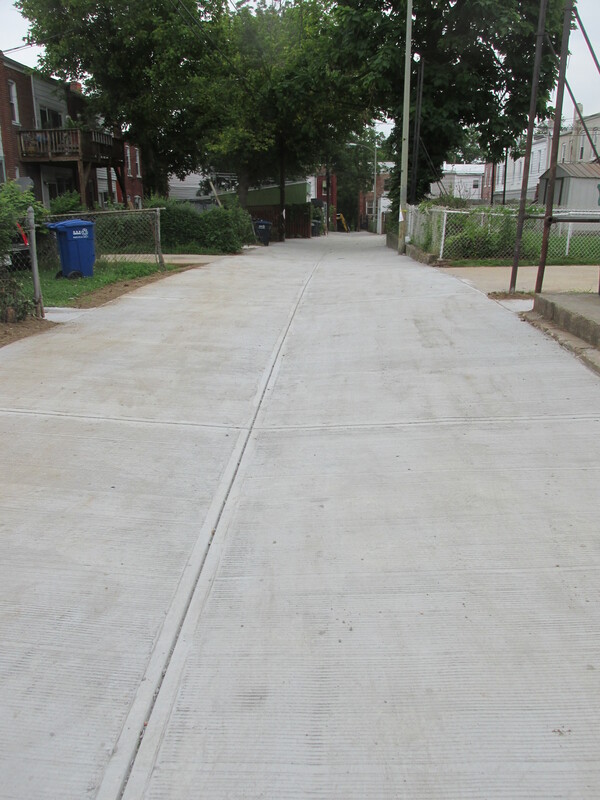 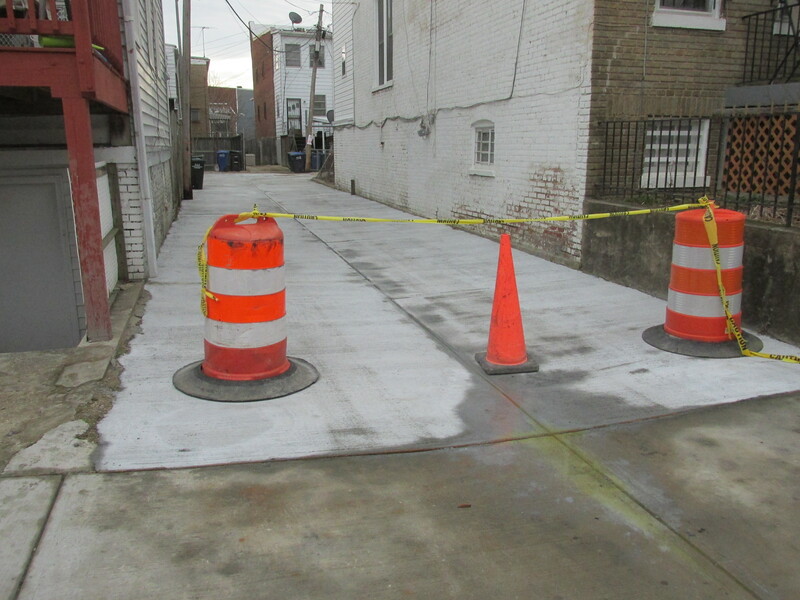 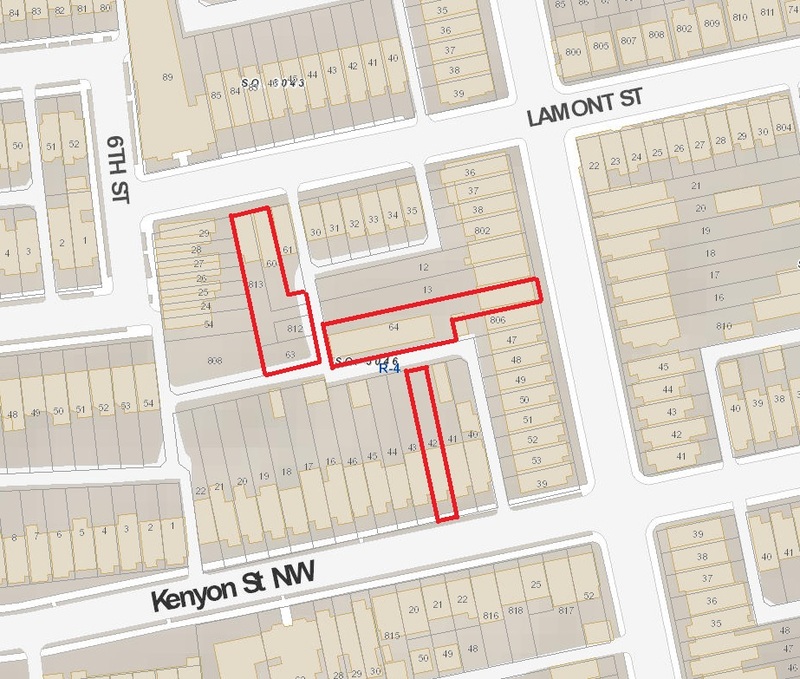 Currently, the block bounded by Kenyon-Irving-Park Place-Warder is in the midst of having their alley repaved, and on or about Monday September 19 the alley bounded by Warder-Park Rd-Park Place-Luray will begin getting its alley replaced. 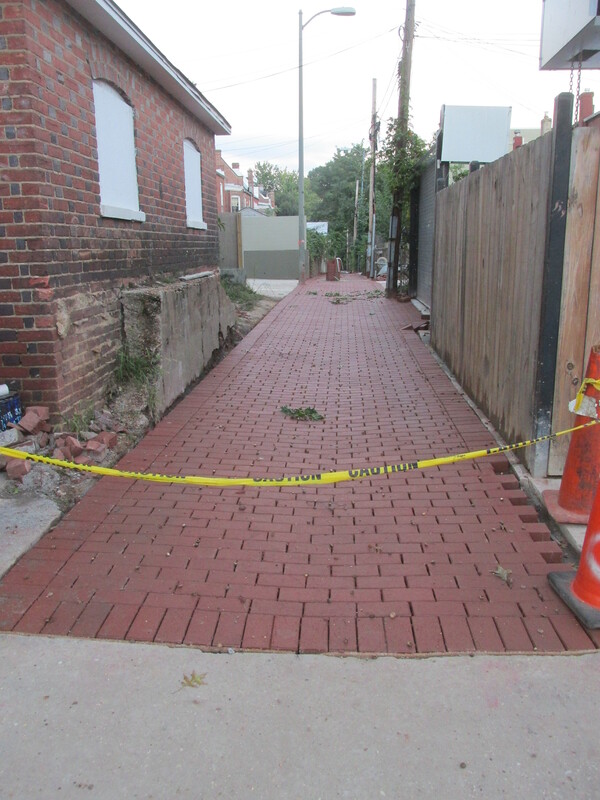 Both alley will be replaced by brick. 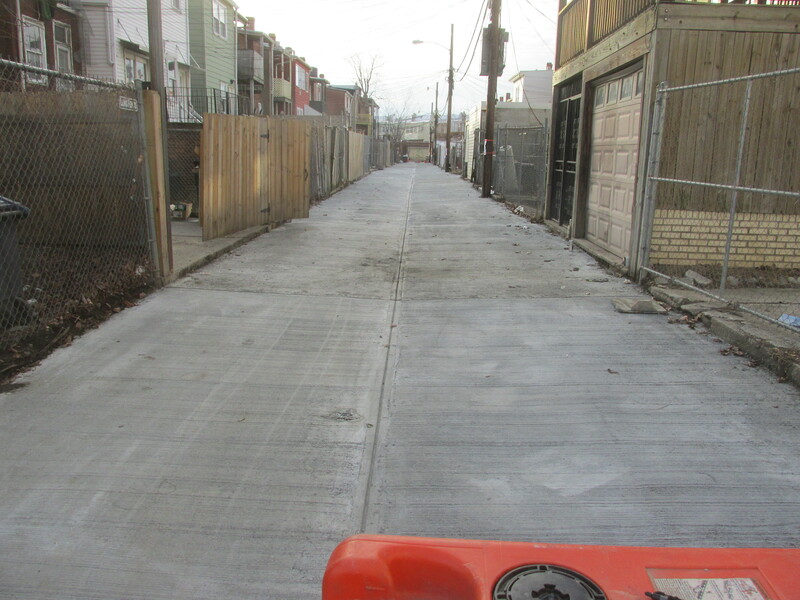 Below are the before photos. 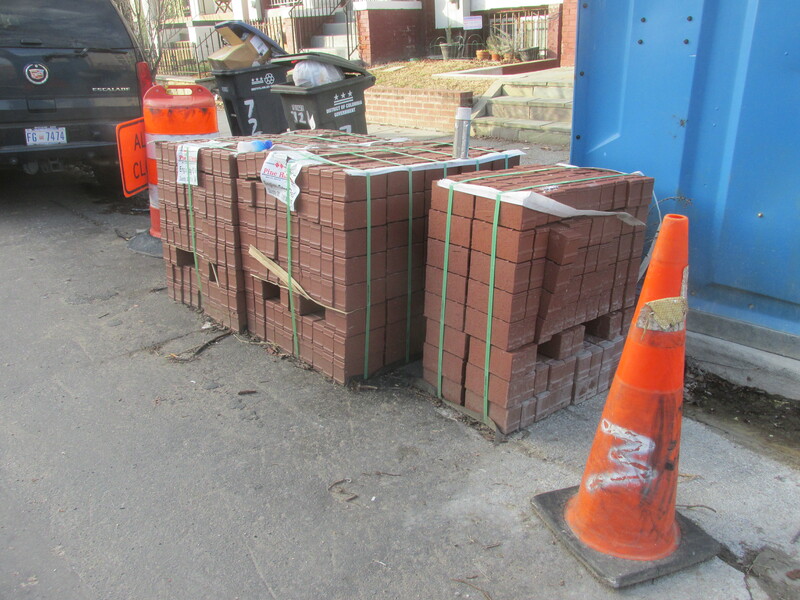 I’ll post some after photos soon.